If you’re thinking about becoming a reseller with Heart Internet and starting your own hosting business, we couldn’t be happier and eager to help. In the weeks to follow, we’ll share all the information you need to build your hosting business using our award-winning Reseller hosting. You’ll not only learn how to set up your first hosting account but also how to brand and market your new business in order to boost sales. This complete guide is divided into three parts so make sure you bookmark it so you can come back to it whenever you need to. Let’s get started with Part One where we cover the Reseller Control Centre and The eXtend Control panel. 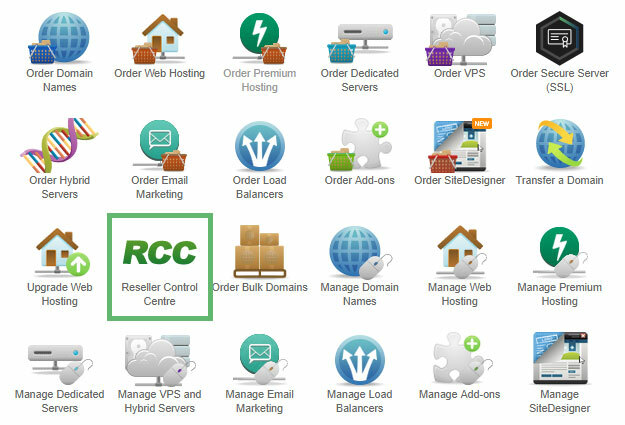 The Reseller Control Centre is your first stop. It’s where you’ll find everything you need to run your reselling business. This is where you can create new hosting accounts, manage customers and set up HostPay or other sales solutions. It’s also where you can access additional products you may have purchased separately from your Reseller Pro account, such as Virtual Name Servers, Dedicated Server or Email Marketing. You can also have access to these products via your Heart Internet Customer Area, if you need to. To access your Reseller Control Centre, simply log into your Heart Internet Customer Area and click the Reseller Control Centre link button. You can also go directly to the Reseller area, if you prefer. If you want to make this your default page, all you need to do is to scroll down to the bottom of the Reseller Control Centre and check the box next to ‘Make the Reseller Control Centre my default page’. Your Reseller Control Centre is packed with useful features. Let’s look at how you can take advantage of each of them to run your business. Take some time to familiarise yourself with your Reseller Control Centre and then organise it as you see fit. All you need to do is to click the Up and Down arrow symbol on the top left to drag a panel up and down. You can also click the Subtraction or Addition symbol on the top right to minimise or maximise a panel. If you’ve made changes but, for some reason, you want to return to the default set-up, you can always click the ‘Reset Interface Settings’ button at the bottom of the page. Use the search box to quickly locate any feature within your Reseller Control Panel. Simply type in the name of what you are looking for, and several suggestions will load. 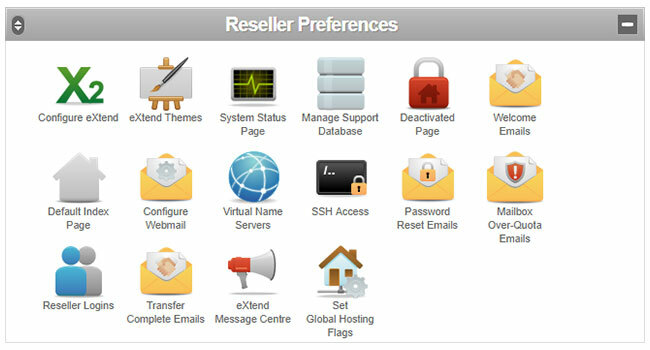 Once you’ve organised your Reseller Control Centre as you like it, now you can start using the features within the panels. In this section you’ll find new features, the latest news and other information related to Resellers. You can always subscribe to the news feed through a RSS reader of your choice. This is where you can manage everything that has to do with accounts on our shared hosting platform. You can add and manage accounts, add features, arrange backups as well as set up messages to send to your customers. Use this feature to manage all the domain names you hold for you and your customers. This includes looking up domains, setting up domain information, and mapping domains. If you’re offering servers to your customers, this is where you can manage them. This feature allows you to set up our in-house sales and customer management system. If you want to use third-party systems such as WHMCS, simply use out API to do that. This is where you can buy and manage the add-ons your customers want, and add them to their accounts. In Reseller Preferences you can find lots of useful features that enable you to brand and personalise what your customers see. Use our reporting features to monitor how your accounts are doing. Whenever you need further help or guidance, refer to this section. In it you’ll find plenty of PDF guides filled with in-depth information about the features available to you as a Reseller. You can also reach our Customer Services team via ticket, live chat, or call them on 0330 660 0255. This is where you can manage your customers’ individual packages. You can make changes, run diagnostics, manage domain mappings, or disable the account. From here you can access your customers’ eXtend Control Panels and see what they see when they log into their panel. Use the drop-down menu to choose a domain and then go into their eXtend Control Panel to make any changes or solve any issues they might be experiencing. Want to know how well your business is doing? 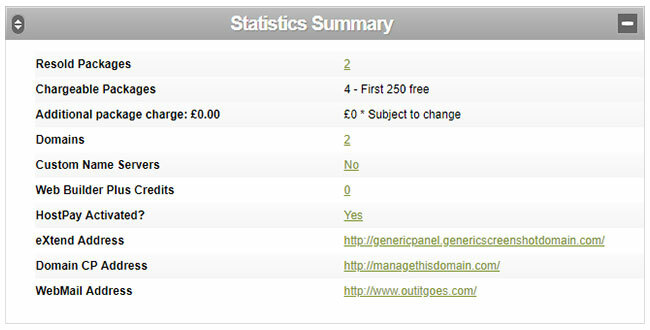 Go to the Statistics Summary to find information on packages, domains, and more. 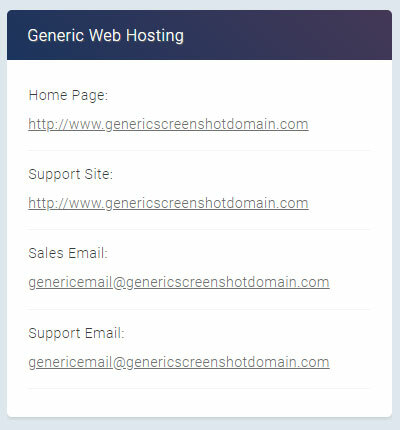 This is also where you can find the addresses to give your customers for their eXtend Control Panel, Domain Control Panel, and Webmail. If there are any services coming up that need renewing, this is where you can see them and also where you can renew them as needed. 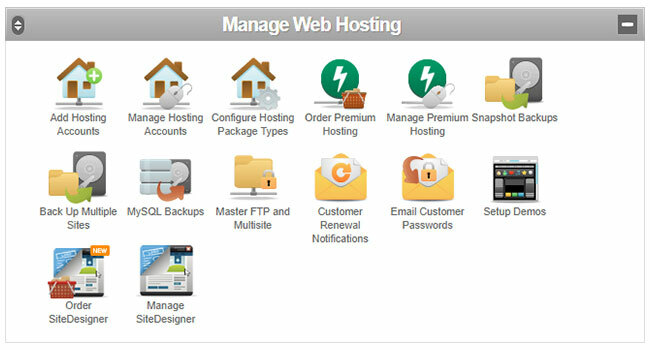 The eXtend Control Panel is Heart Internet’s web hosting management platform. It’s built in-house by our developers and designed to make managing a site easy and hassle-free. Each shared hosting account you create within your Reseller Pro account automatically comes with a free eXtend Control Panel. Through the eXtend Control Panel, your customers can take control of their hosting account, meaning it’s where they can add domain names, build sites, and manage add-ons. Your customers can access the eXtend Control Panel in a few different ways, as follows. If you are using HostPay, your customers can log into your HostPay website and access their eXtend Control Panel without having to re-log in. Much like how the Heart Internet Customer Area includes a link to all your domain names, the HostPay Customer Area will share a link to their site. You also have the option to create a single point of reference for all your customers with your own domain name or subdomain. The name you choose is up to you, and you can set it up on whichever domain name you want. If you chose “(all domains)” as your option, you can have it be the subdomain on any domain name your customer has purchased. This means that http://control.genericscreenshotdomain.com and http://control.genericville.uk would direct to the same location – the login for the eXtend Control Panel. Keep in mind that it can take up to 24 hours for the changes to propagate across the web. Haven’t set up a personalised web address or don’t have HostPay installed? That’s ok. Your customers can also access their eXtend Control Panel by going to http://extendcp.co.uk/. This is our default eXtend Control Panel address and it’s an easy and quick way for your customers to log into their control panel. You can always access your customers’ eXtend Control Panel if you need to make changes, such as install software, or to fix any problems they’re having. You can also review the changes you’re making to the design and style of their eXtend Control Panel and see how it looks to your customers. If you go to the ‘Manage Hosting Accounts’ page in your Reseller Control Centre, you can see all your customers’ domains. 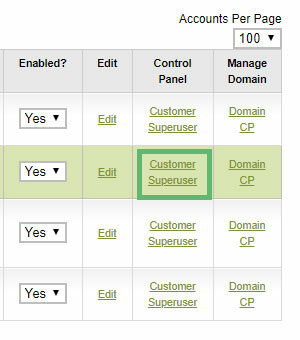 Click ‘Customer’ under the Control Panel column to see the eXtend Control Panel as it appears to your customer. 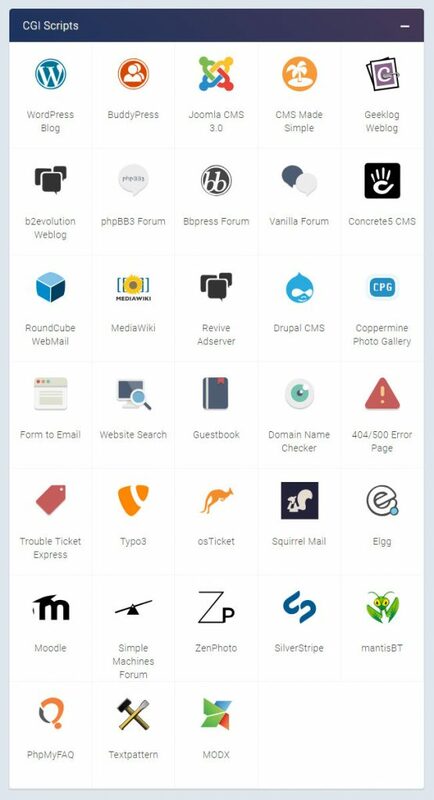 Click ‘Super User’ to see all the available features for that account (including features you have not activated for that customer). 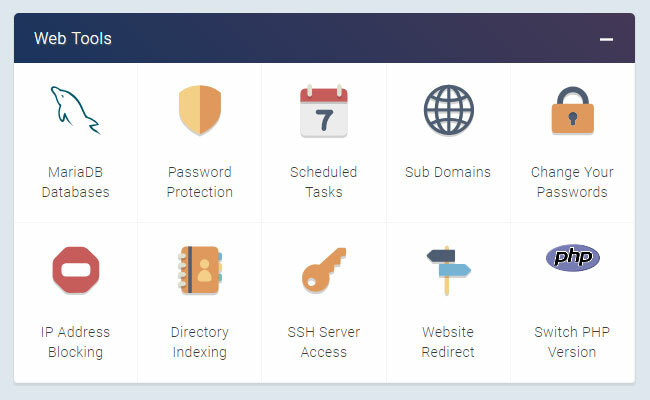 A second method to get access to the eXtend Control Panel is through the ‘Access eXtend Web Hosting Control Panel’ panel on the Reseller Control Centre main page. Use the drop-down menu to choose a domain name and click ‘Go’. If you check the box next to ‘Super User Login’ you can log in as a Super User and see all the features available for that account. A third method to access your customers’ eXtend Control Panels is from another customer’s eXtend Control Panel. So if you’re already logged into a customer’s panel, you can switch to another customer’s panel by simply choosing another domain from the drop-down menu list at the top and clicking the “Go” button. Again, if you also wish to see all the features available for that account, log in as a Super User by checking the box next to ‘Super User Login’. This also allows you to switch to a Super User once you are logged into the customer’s eXtend Control Panel. The eXtend Control Panel is packed with useful features that are available to all your customers, no matter how you set up their hosting packages. The Account Info panel includes all the information your customers need for their website, from their domain name and mail server name to the package they are on, the type of server they’re on, how much web space and bandwidth they’re using, how many mailboxes, databases, and subdomains they’re using. It also includes a link to a temporary web address, so that they can check out their website even if the domain hasn’t fully propagated to that account. This is where your customers can go to change their eXtend Control Panel password, as well as to set different passwords for their Control Panel and their FTP access. 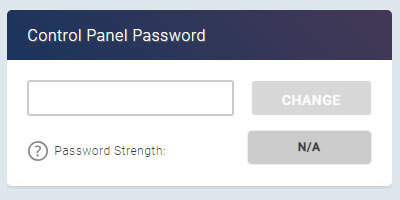 The Password Strength checker will ensure they choose strong passwords that meet standard safety criteria – at least 8 characters long and with at least one number and one special character. This is where they can find their FTP details, including username, password, and FTP server. If they have difficulty using the FTP server, they can also use the FTP IP address. Due to security measures, we automatically lock FTP access to our servers to prevent anyone from accessing your sites through FTP. 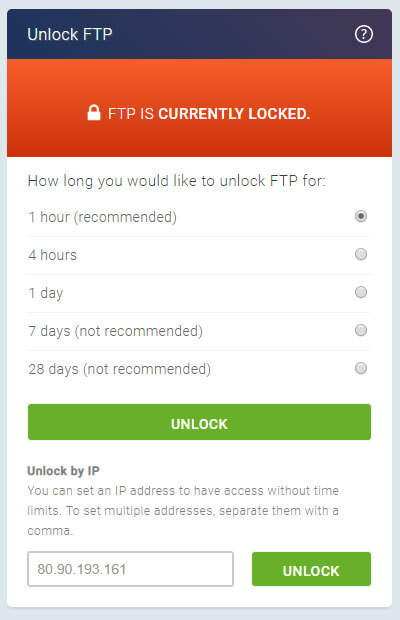 So whenever your customers want to upload files using FTP, they will need to unlock FTP access for the period of time they need, from one hour (recommended) and up to 28 days (not recommended). 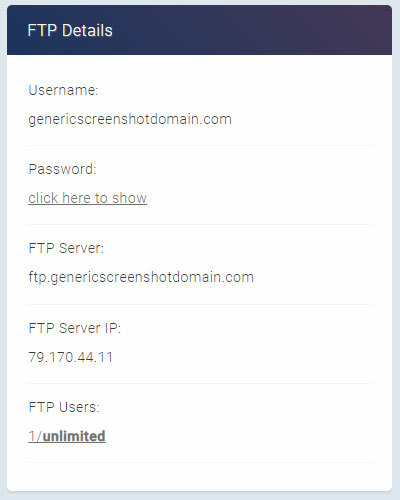 They also have the option to unlock FTP for a specific IP address, which gives that IP address permanent access to their site through FTP. You have the option to add your URL, support site, and sales and support emails onto your customers’ eXtend Control Panel. Your customers can find a ‘Help’ button at the top of the page, along with a Home button and a Log Out button. This sends them to our white-label Customer Support Database, where they can find more information and answers to possible questions they have about websites, domain names, email accounts, and more. Your customers can see the main panels in their eXtend Control Panel only if you’ve enabled at least one of the features available within. You can move the panels up or down, and minimise them so that customers only see what they want to see. To move the panels, click the Up and Down arrow symbol on the top left and simply drag the panel up or down. To minimise or maximise a panel, click on the Subtraction or Addition symbol on the top right. Keep in mind that the screenshots in this guide show the features as they’re available to a Linux hosted account. If you host a site on a Windows account, the features are different and some may not appear in your customers’ accounts. This is where your customers can edit their website, either using the File Manager or FTP. 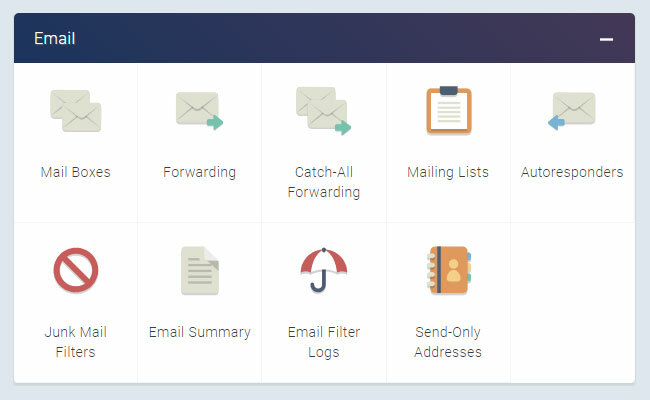 The Email panel holds everything your customers need to manage their email. This is where they can create new email addresses and log into Webmail. 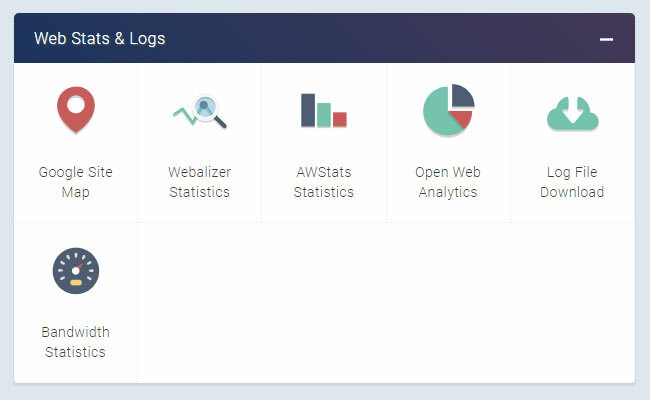 This section is where customers can go to review visitor logs and the bandwidth they’ve used. It’s also where they can install a range of analytics packages that allows them to keep track of their site’s statistics and visitor activity. In the Web Tools panel your customers can find more advanced tools that they can use to do more with their websites. These include databases, cron jobs, subdomains, redirects, and more. 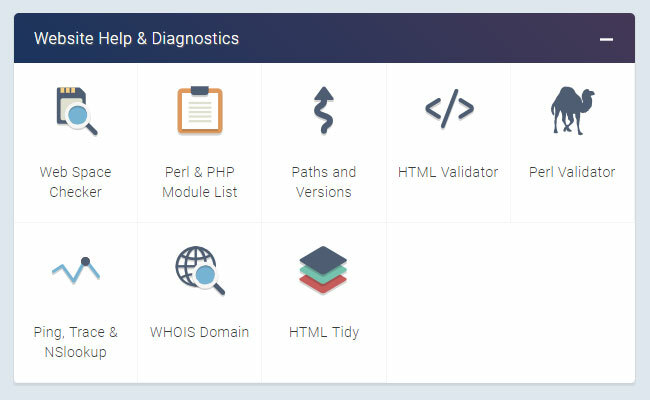 The Website Help & Diagnostics panel gives your customers extra information about their websites like what software is available on the server and how much space they’ve used. They can also check their site’s code for errors. Offering e-commerce solutions to your customers? We’ve got your covered here as well. Our E-Commerce panel includes lots of useful features such as one-click installers for e-commerce solutions, links to third-party payment systems, as well as information on our shared Secure Server. We also provide a generous collection of one-click software installers including popular favourites such as WordPress, Joomla!, Moodle, Drupal, Squirrel Mail, dotProject, and Status.net. Choose the ones you prefer, and also automatically install software onto newly created hosting packages. Blogging software and content management systems – Build a blog or website and manage the design and content with ease with WordPress, Drupal,and more. Social media, forums, and bulletin boards – Create communities and interact with your visitors with BuddyPress, phpBB3, and more. Photo and multimedia galleries – Show off your photography or artistic skills with Coppermine, ZenPhoto, and more. Project management and tracking – Keep track of projects with ease with MediaWiki, mantisBT, and more. That’s it for Part One. Hopefully, you now understand how your Reseller Control Centre and eXtend Control Panel work and the great features that you and your customers can take advantage of. Stay tuned for Part Two where we’ll look at how you can start selling domain names, hosting and email services to customers, as well as how to use HostPay and third-party sales solutions. Have any questions or concerns? Feel free to share them in the comments below.